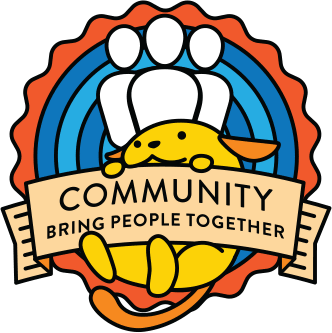 On the Make Community blog, there is a discussion that has been kickstarted about ways to help your local meetup and some best practices around them. Last month we sent out our meetup member and organizer surveys. Please help us improve our support of meetup organizers and member all over the world by taking 10 minutes to fill out the organizer survey! The survey will be up until the 28th of February 2019. It would be helpful if organizers could also remind their members to respond to the surveys. Some meetups are experimenting with new type of meetups format, where organizers and volunteers are hosting an open-office or help desk, where attendees can get to ask about their WordPress problems to experts. Some examples are these meetups from communities in Karachi, Pakistan and Pune, India. This is a great way for ensuring local WordPress users getting to meet and interact with local WordPress experts. For more event formats that have worked well in other WordPress meetup groups, check out the meetup organizer handbook page on event formats! To hear a round table discussion between other meetup organizers about popular topics at meetups, check out this video. The diversity outreach speaker training working group is asking for feedback from organizers who have run the diversity speaker training. Send an email to speaker-training@wordcamp.org to get the feedback questionnaire! Diverse public speaking changes lives and local communities. Kirsten took the speaker training workshop and spoke for the first time at WordCamp Vancouver. While there, she was spotted by a local agency and was hired as their first female developer. Kirsten quickly became the senior developer and team lead and is still in this role three years later. Recently she hired another female developer at her company! On the community team we have Office Hours four times a week in the #community-events channel on Slack: Mondays & Wednesdays 22:00 UTC, Tuesdays and Thursdays 9:00 UTC. There is a proposal to improve this newsletter with additional organizer tips and training. You can leave your feedback on this link. The first release candidate for WordPress 5.0 is now available! This is an important milestone, as we near the release of WordPress 5.0. WordPress 5.0 introduces the new block-based post editor. This is the first step toward an exciting new future with a streamlined editing experience across your site. Local meetups are great places for folks to get involved, test or get information on the WordPress 5.0 and the new editor, so this would be a great time to organise a few meetups where you talk about the new editor with your community and help them get used to it before the 5.0 launch. WordCamp US 2018 is happening on December 7-9 and, to allow people all over the world to enjoy the great content, the organising team is opening up a live stream of the event. This live stream will available for free all over the world, making it a great opportunity to get your local community together to watch it. It is also a great way to watch “State of the Word” by Matt Mullenweg the founder of WordPress. You can organize a “WordCamp US Live Stream Party” or a “State of the Word Live Stream Party” with your local meetup. If you need to rent a venue for a WordCamp viewing party, you can apply for financial assistance by making a Meetup Venue Approval Request. As is our annual tradition before the year ends, we will be sending out links to all members of our meetup chapter accounts a survey as well as a “thank you” to global sponsors. Also along with those surveys we will be sending out a survey to all organisers of WordPress chapter meetup groups. These surveys are an important way for us to learn more about how the global program is coming along, so do keep an eye out for them. We will be sending these surveys out between the 15th and 21st of December 2018. In our Diversity Outreach Speaker training workshops we have two updates: the first is a bit of history for the working group and how it came along, in this essay by Jill Binder. The other update is highlighting WordCamp Milan: last year, WordCamp Milan had 4 women speakers out of 19 (21%). They wanted to make a change in 2018. Simona Simionato took part in the Diversity Outreach Speaker training and started running the workshops, live as well as online, for those who couldn’t attend otherwise. She also posted to some digital groups for women and personally contacted women in the community who potentially had interesting experiences to share, and invited them to apply. The results: the team increased their speaker diversity at Meetups, which is important to build the roster of speakers for WordCamps. This year, there were 11 women out of 21 speakers (52%)! One of the new speakers is also an LGBT community member. Nine of these speakers (of both genders) will be first-time speakers. This puts the release date for WordPress 5.0 less than a month away, on November 19, 2018. With that in mind, this is a great time to talk to your meetup group about Gutenberg, WordPress 5.0, and what people can expect from it all. As meetup organizers, you are uniquely positioned to help guide your community through what is promising to be a very significant core update. To help prepare your community, share some Gutenberg resources with them, organise a meetup where you demo and discuss the new editor, or gather your community for a work-along so you can learn about the new editor together. We know of 15 Meetups or WordCamps who have run the workshop for getting new speakers to step up, particularly women and other underrepresented groups, in 2018. Would you like help from us to run it? We are holding a training on Saturday, October 27. Many WordCamps stream their content live all over the world, making it a great opportunity to get your local community together to watch it. If you can’t travel to a WordCamp, then the live stream is a great way to share in the content of the event along with other local WordPress enthusiasts. The basic requirements for hosting a live stream party are an internet connection and a computer. To help you out we have created an event template on meetup.com titled “WordCamp Live Stream Party” — you can use that to create and schedule your event for any WordCamp. Additionally, if you need to rent a venue for a WordCamp viewing party, you can apply for financial assistance by making a Meetup Venue Approval Request.